If ever there was a reason to believe the God has a plan for individuals, you can see this in the life of a Native American named Squanto. As winter of 1621 was fading, and spring arriving, an Indian named Samoset entered the Plymouth colony peacefully. 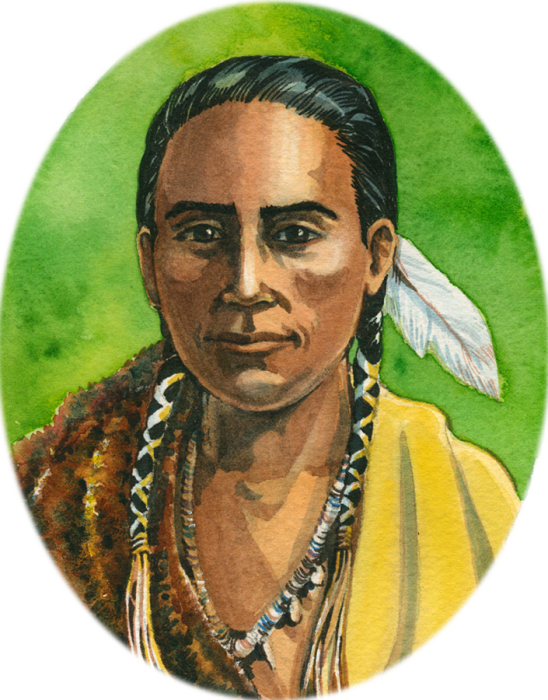 Squanto’s story is an amazing story of tragedy, injustice, then redemption. After being captured in North America, Squanto had spent nine years in England. John Smith returned him to the new world, but he was captured and sold into slavery. Some local friars in North Africa bought Squanto, introduced him to Christianity. Squanto left the monastery and returned to London where he found a captain who agreed to take him to the new world. When the ship arrived in present-day Maine, they picked up an Indian named Samoset. Six months before the Pilgrims landed on Plymouth, Squanto arrived in that area. He discovered every single person from his tribe had been wiped out. He eventually joined another tribe (Wampanoag tribe, with Massasoit as the chief). Squanto must have felt his purpose for life was over. However, God had a plan! The Pilgrims landed in a place where the closest Indian tribe was the Wampanoag, which was probably the only Indian tribe on the northeast coast of America that would have welcomed the white men as friends. With Chief Massasoit’s approval, Squanto stayed with the Pilgrims. By summer, 20 acres of corn was flourishing. Squanto also taught them to stalk deer, plant pumpkins, refine maple syrup from maple trees , and discern what herbs and berries were useful. Beyond immediate survival, Squanto taught the Pilgrims the value of the beaver pelt. The beaver pelt became the economic engine that helped the Pilgrims prosper. By April 1621, Captain Jones of the Mayflower begged the Pilgrims to return to England, for he was fearful of their survival. None took him up on the offer. Through the help of a Native American named Squanto, they had learned how to survive. I am sure that Squanto thought he had no reason to live after losing his people. But, God had prepared Squanto and a group of people known as the Pilgrims to intersect at the right time. God had a plan! Remember this Thanksgiving that God has a plan for you. In the middle of adversity and tragedy, He still has a plan bigger than what you can see. The story of Thanksgiving reminds us that we are part of His plan, and it’s bigger than we realize! Information taken from: Marshall, Peter, and David Manuel. The Light and the Glory. Old Tappan, N.J.: Revell, 1977.